MODERN ADDRESS Located at Kimbro Lane, in Grant Township. 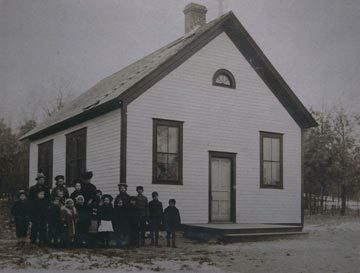 Became Oak Grove school in early 1940. Enrollment in 1938: 18 students. In 1939: 13 students. 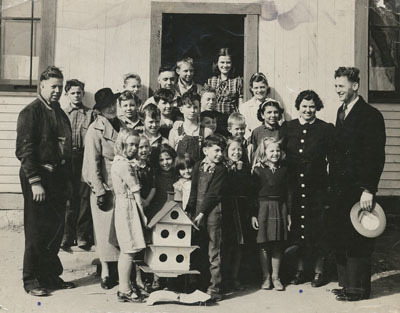 Welander School students with a birdhouse in 1938.